A lot of people think that if they have their bug-out bag packed and a general idea of where they want to go, they’re ready. Nothing could be farther from the truth. Oh, they might manage to get away from their home and maybe even to get out of town; but they probably won’t make it to their bug-out location. They’ll either give up and end up stuck in the wrong place, or they just won’t survive. Bugging out is a complex task that takes planning and preparation. It is even more complicated if you’re taking off at the same time as thousands of other people, as in the case of a general evacuation from the path of a major hurricane. 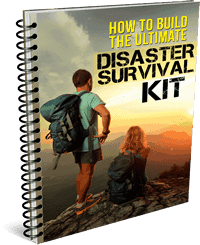 If you want a successful bug-out, you not only have to think of what you are going to do, but how everyone else out there—all those unprepared people—is going to react. That way, you can develop your plan in such a way that you manage to avoid a lot of problems. In addition, you have to have alternate plans for just about everything you are going to do as things never seem to work out quite the way you want. Avoid Highways. In a general bug-out, you can be sure that the highways will turn into parking lots. The U.S. highway system is not designed to handle the amount of traffic needed for a general evacuation of any major city. There are evacuation routes selected and even signs showing where they are, but that doesn’t mean that those evacuation routes will work.You’re going to be a lot better off sticking to side streets, rather than going the same way as everyone else. Find yourself a number of ways to get out of town that are as far from the highways as possible. Don’t even think of using side streets that are close to major highways and thoroughfares; find the ones that nobody else will use. Those will be the quickest way out of town. If you have to leave your vehicle and set out on foot, then go cross-country. That way, you have much less chance of running into other people. While many of those other people will be self-sustaining, there will be some who see you as a means of supply and look for an opportunity to steal from you or kill you. Avoid a Close Bug-Out Goal. If you are going to go through the trouble of bugging out, you want to make sure that you have a bug-out location that is far enough away from your home that it won’t be affected by any regional events. While having an alternate site is a good idea, you probably won’t be as prepared to use it as you will for your primary. Avoid Looking Prepared. I know a lot of preppers like the idea of a nice big 4×4 truck for a bug-out vehicle. There might be good reason for having one, but don’t have it just because you think it makes a cool post-apocalyptic vehicle. Avoid dressing in camo and anything else that makes you look like you know what you’re doing. As people’s tempers rise and they get more desperate, you might just end up looking like a target. Avoid Visible Weapons. While I am a firm believer in carrying weapons on a bug-out, I don’t think those weapons should be obvious. In much of the country, you don’t want to invite attention from the authorities. You might also attract those desperate people who didn’t bring any supplies with them. Just having a visible weapon might be enough for them to think that you have something worth stealing.The big problem here is who surprises who. If you’re walking around with a gun, then anyone who wants to steal what you have will probably make sure that they’ve got the drop on you, if not shoot you outright before you know they’re hunting you. On the other hand, if you have it hidden, you can surprise them if they try and attack you. Avoid Taking Too Much. While it is necessary to take enough equipment and supplies with you to survive, you don’t want to take so much with you that it will impede your movement if you have to abandon your vehicle. Since the possibility of having to abandon your vehicle is high, that really limits how much you can take.One way that you can increase the amount you can take with you, without slowing yourself down, is to build a lightweight cart to carry your supplies. This needs to be something that you can use cross-country because staying on the roads on foot is a bad idea. With such a cart, you can carry much more and not tire yourself out. Avoid Sharing Your Plans. As with any other tactics associated with prepping and survival, you need to keep your bug-out plans secret. Unless you have a survival group that you are going to meet up with, nobody outside your family needs to know your plans. Avoid Leaving Too Late. If you think that it might be time to bug out, then do it. Don’t wait! That first inkling you get might just be the warning that keeps you alive. Remember, you can always head back home if it turns out everything is okay. But you can’t turn the clock back if you didn’t leave when you should have. The biggest risk you will face if you have to bug out is from other people. While there may be hundreds of thousands of people in your city who are all trying to get out at the same time, keep in mind only a handful will be truly prepared. Thinking proactively drastically increases your chances of survival, but stockpiling the right supplies also increases your chances of becoming a target to those who aren’t as well prepared. Keep that in mind in all your planning and develop ways to avoid becoming a target in a desperate survivor’s gun sights.